Today, Microsoft released some new videos explaining coding with the cost free Visual Studio Code environment. 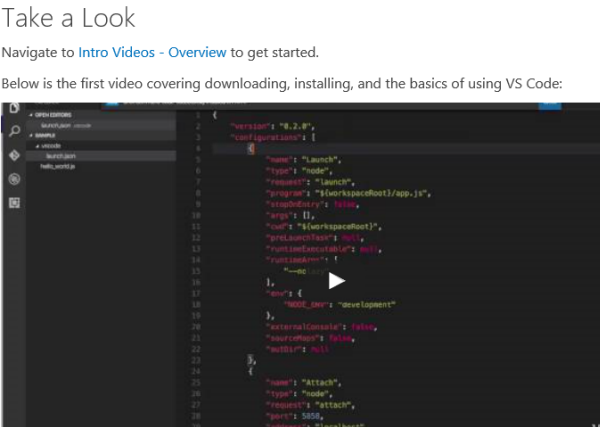 See the blog post in the code.visualstudio.com/docs project: Announcing Intro Videos. See the Intro Videos - Overview with the first six videos to get started. Check out Setup and Basics of VS Code. Happy coding!